You might know that Dubai is famous for its 6* hotels, but did you know it’s actually a safari hotspot? 15.8 million people visited Dubai in 2017, making it one of the most popular destinations to visit in the world. With glorious sandy beaches, warm climate, and rich culture, it’s easy to see why Dubai become so popular. But if you want a completely unique experience that will show you the true Dubai, you need to go on safari in the Arabian Desert. If you’re not already convinced, read on as we have put together a list of the top 3 reasons to go on safari in Dubai that will make you wish you were there already. The opportunity to experience and see the outstanding desert landscape is a real highlight of a safari tour. Stretching 900,000 square miles, there is plenty to explore as you travel the sand dunes and see the mountains rising up out of them in the Arabian Desert. With morning safari’s offering the chance to watch the sunrise over the golden dunes and evening tours offering the chance to watch the sunset, you’re in for a spectacular view no matter what time of day you go. You can also enjoy overnight tours allowing you to experience both the beautiful desert sunsets and sunrises. You’ll also get the unique experience to spend the night under the stars in a traditional Arabian camp. With a culture as rich, beautiful and mysterious as the landscape, you’ll not want to miss out on a chance to get a taste for yourself. A safari tour can give you an understanding of the lives and traditions of the native Dubai people who call the desert their home. Not only this but you’ll get a taste of their history too. You’ll be able to enjoy traditional entertainments too like belly dancing and Tanura dancing. Tours will also offer local food options as well as some offering the chance to dress up in Arabian attire. Known as the ships of the desert, camels have had a vital role in desert life for thousands of years. Not only do they provide milk and meat, they also are also important for transporting heavy goods and people. Of course, to fully experience the culture and scenery, no safari in the Dubai desert would be complete without riding a camel. You’ll be travelling over that ancient landscape in the most traditional way possible. The ride also gives you the opportunity for holiday snaps with this iconic animal. What better way to remember your unique experience in the Dubai desert for years to come. Are You Ready to Go on Safari? As you can see to go on safari in Dubai is a real once in a lifetime experience. You’ll get to see the beautiful natural landscape from the back of a camel and bask in the authentic Arabian culture. 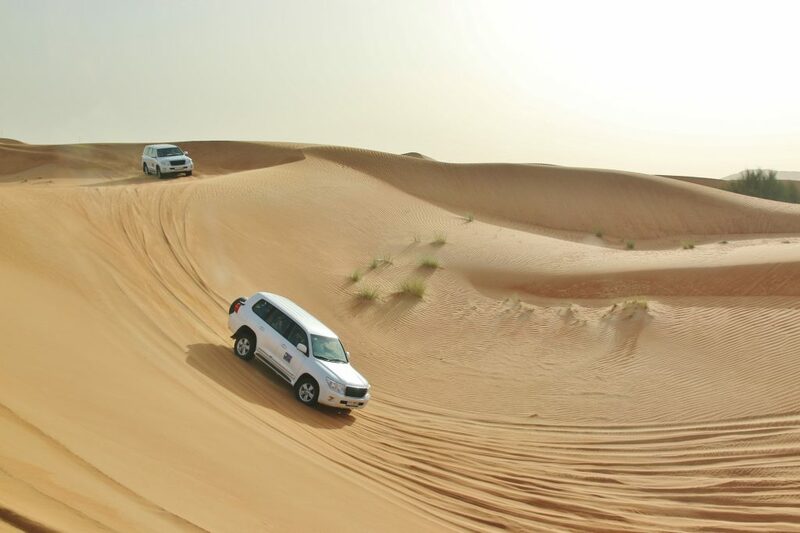 If you’d like to know more about what a desert safari in Dubai can add to your holiday, contact us and see what The Desert Safari can do to give you a holiday you’ll never forget.